Scroll down to view all resources to increase safety in schools, from CDC findings to implementing a 504 plan. Click the images to learn more. We at Food Allergies Rochester, MN encourage all schools in the greater Rochester area to explore ways to include students living with food allergies. 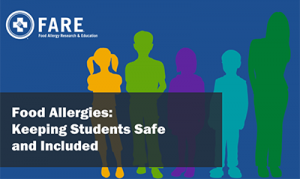 Click the image to the right to take a free online training course provided by FARE, which is designed to foster preparedness for students with food allergies and to learn proper emergency responses in case of a food allergy emergency. 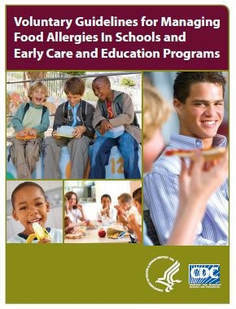 The CDC published on October 30, 2013 published "Voluntary Guidelines for Managing Food Allergies in School and Early Care and Education Programs." Read the full publication HERE. 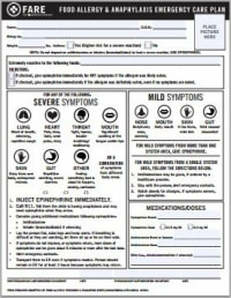 Click HERE for information on Minnesota's statutes regarding stock supply of Epinephrine Auto-injectors. Click HERE for information on Minnesota's statutes regarding the school's administration of Epinephrine Auto-injectors. Click HERE for information on a Section 504 plan for schools. Click HERE for a downloadable information guide for PTOs and PTAs.